Gone are the days when fishing was an utter guesswork. The best fish finder GPS combos under $300 will show you that getting the most out of your fishing experience need not cost an arm and a leg. Are you running on a tight budget? Fret not. We have put together a brief buying guide and product reviews to what we believe are the best fish finder GPS combos under $300 to have ever existed in the market today. 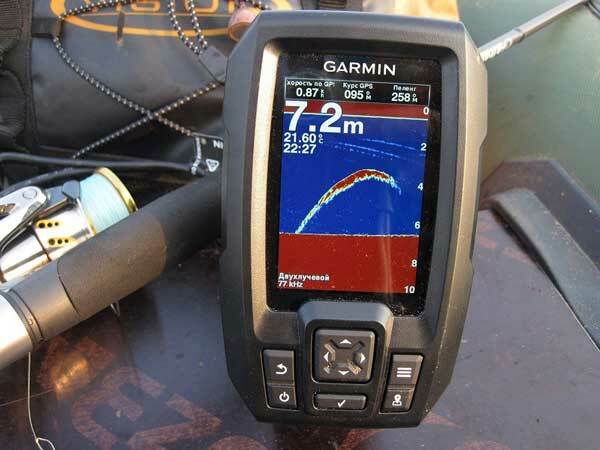 Which is the best fishfinder GPS combo for your budget? While it may not seem as if you need a lot of consideration when looking for fish finders, you do have to put some thought into them before purchasing one. The best fish finder GPS combos are those that bring a combination of, of course, a good price tag, and important aspects such as frequency, power, sonar technology and transducer, and GPS and navigational features. Raymarine’s Dragonfly-4 Pro Sonar/GPS highly sophisticated features make it among the best fish finder GPS combo for professional anglers. If you’re a seasoned fisher, we bet you’ll appreciate the unit’s unique aspects, such as its cutting-edge performance, smartphone-pairing feature, conservative price point, compact size, among many others. Its optically-bonded screen offers exceptional readability and boasts anti-fogging and water-resistant features. This device also CHIRP DownVision, giving it a bit of an edge over various other similar fish finders that have down imaging in this price point. Equipped with basic yet high-definition navigation functions and GPS antenna, Lowrance Mark-4 CHIRP is one of the best fish finder GPS combos for beginners. While it only provides minimal detail, this device is built with basemaps, which show contours for over 3,000 inland bodies of water of up to 1,000 feet. Even though it’s a basic device, it is upgradable with various premium charts via its microSD card. If you’re a novice angler, another product worthy of your attention is the Garmin Striker 4 Built-in. While the Striker series is known for its basic features, we find this unit stands out among its closest variants. Many users are happy with how they can read the display in direct sunlight without any trouble, with the brightness setting at 80%. While this device doesn’t offer any NMEA or Ethernet connectivity, it is IPX7-waterproof and features a QuickDraw Contour Software, which allows you to create and save up to 2 million acres of custom HD fishing maps. 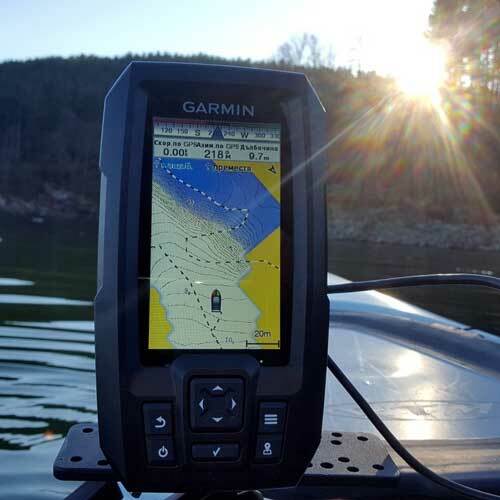 The Garmin Striker 4 Built-in GPS Fish Finder proves successful fishing need not require a wall-sized fish finder. 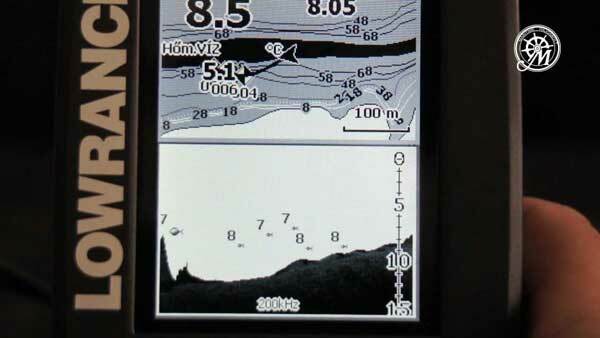 Smaller in size but never in features, the Striker 4 is one of the best Garmin fish finder GPS combos for small boats. Sporting a rugged, sturdy design, it is a great option for those looking to get a device that’s built with advanced features in an amazingly affordable price tag. ​The Striker 4CV with the transducer is another outstanding palm-sized piece of technology from Garmin. It comes in a compact, portable build, which makes it one of the best fish finder GPS combos for small boats and kayaks. You’ll be surprised at how useful features you can find in such a small unit. It uses the highly-optimized GPS system that allows you to precisely track the locations. Also, its mapping works excellently with different kinds of fishing rods – such as spin cast reels, baitcasting reels, etc. 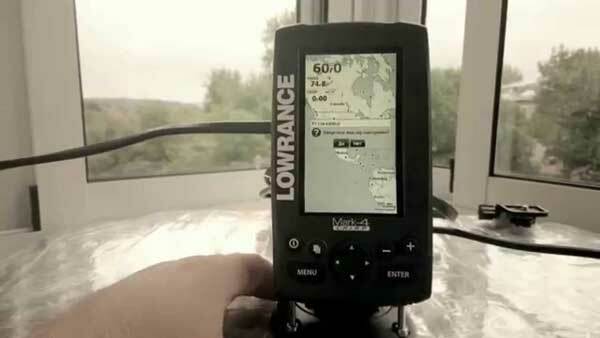 The Lowrance Mark-4 CHIRP is a cool compact fish finder that you can bring on a kayak or small boat. Its power and size make it one of the best fish finder GPS combos for kayaks and small boats without having to sacrifice on features. It boasts a fantastic combination of super-bright, LED-backlit grayscale display, and CHIRP sonar technology, helping you distinguish game fish from baits in order to catch more fish. The quality of fish finders has now become night and day-different from what used to be only a few years ago. GPS and sonar technologies are advancing by the year and displays are now getting bigger and more durable than ever. We have rounded up some of the best fish finder GPS combos under $300, in terms of value, quality, and capabilities. Now, looking into the models that would work best for your needs is all up to you. Owing to its growing popularity and state-of-the-art, built-in Wi-Fi-capability that allows for pairing with your smartphone, the Dragonfly 4PRO is no doubt one of the best fish finder combos under $300. You’ll be surprised at how many useful features you can find in such a small device: optically-bonded LCD technology- display; C-MAP essential pack, and a wide-scale DownVision function, among many others. And since it’s a fish finder GPS combo, it comes with a Chartplotter with high-sensitivity GPS, offering a handful of handy navigational features. Upon observing the Dragonfly 4PRO technical specs, we can conclude that this device definitely has a lot to offer. As mentioned, the display brings optically-bonded LCD technology, which gives it resemblance to a top-of-the-line smartphone screen. Apart from its anti-fogging and weather-resistant features, the Dragonfly 4PRO lets you do neat stuff like stream the sonar data to your mobile device, where you can rewind the content and take images for online sharing. One thing worth mentioning is we found out that the included ball-and-socket mount is a bit on the flimsy side, but that could be because it needs to keep up with the overall light weight of the device. 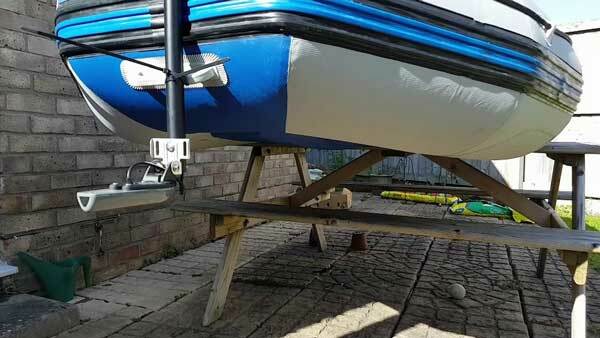 Nonetheless, it’s heavy duty and easy to install, adapt, and fix on any available space on your vessel. 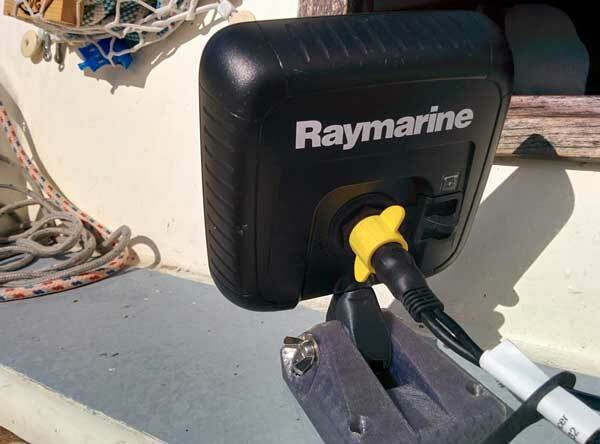 One special feature exclusive to the Raymarine brand is its cable, which comes with a single connector for transducer signals and power, getting into the head unit. Needless to say, the CHIRP sonar technology is among the most essential features of the Dragonfly 4PRO. This device is designed with CHIRP DownVision, which gives it a bit of an edge over various other similar fish finders that have down imaging in this price point. 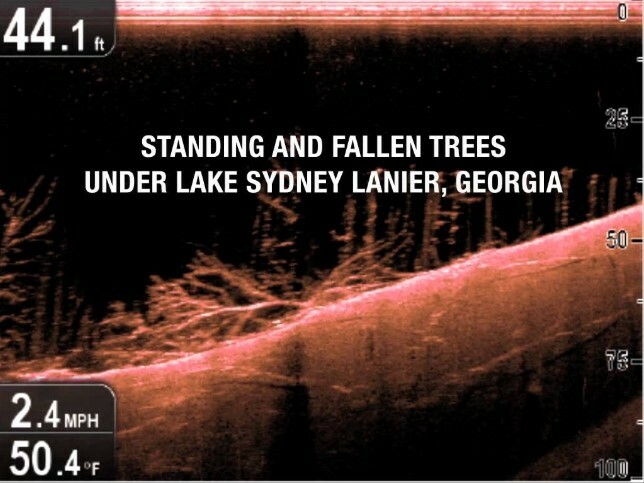 Since CHIRP modulates sonar pulses over a range of frequencies, it offers photo-like clarity of the bottom using the DownScan mode, and an excellent target separation for structures, fish, whatnot in both sonar modes. While not an entirely powerful device, the Dragonfly 4PRO’s sonar technology makes it ideal for use at depths of up to 900 feet. This device is built for high-speed tracking, which means that you keep obtaining information of what’s underwater even at higher boat speeds. The best-quality images, however, are obtained at 2-5 mph. This device allows you to use two applications simultaneously, using its split-screen mode. What this means is that you can opt to view both the conventional CHIRP and DownScan sonars, or the position of your vessel on the chartplotter and one of the sonar applications, all at once. 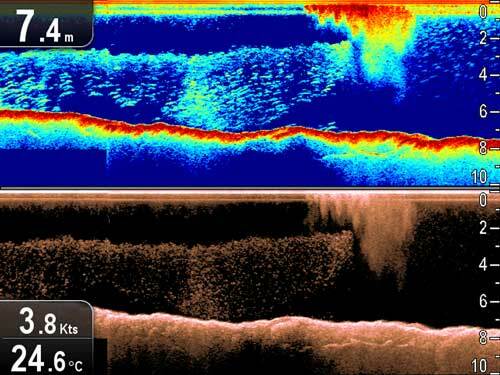 Being able to see both sonar returns provides you with a much better view of the environment below the surface, which is highly beneficial for target interpretations. 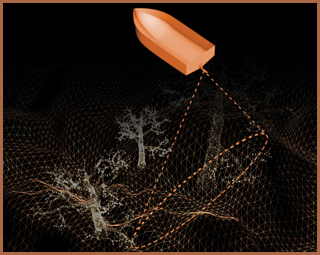 The DownVision sonar view helps you easily spot the fish targets, even if they hide among the vegetation. The Dragonfly 4PRO features a superb combination of high-precision GPS technology and revolutionary chartplotter feature. This device comes with the C-MAP Essentials pack, which covers all crucial chart objects and navigation aid, tidal info, C-Marina icons, and coastal data displaying all depth shading and contours, and spot soundings out up to 60 feet. Capable of storing up to 15 tracks and 3,000 waypoints, the Dragonfly 4PRO is built with a 72-channel internal GPS/GLONASS system. Equipped with CHIRP and ClearVü sonar, the Striker 4cv shares striking similarities with the Striker 4 version. The Striker 4cv flaunts a compact design but enough screen space to view fish targets, the waypoint system, and even both CLearVü and 2D sonar all at the same time. While it does have its own limitations, its powerful performance and premium features make it one of the best fish finder GPS combos under $300. This device brings a 320x480-pixel, HGVA-color display, with integrated LED backlight for excellent readability even on bright daylight. Although the device is IPX7-waterproof, it’s best that, when fishing in saltwater, you wipe the water droplets off, as salt may seep into the device and damage its connectors. The Striker 4cv has both 2D CHIRP and ClearVü sonar, the latter of which includes CHIRP and is similar to the older DownVü, only that it provides wider imaging. The device operates at 50/77/200 kHz for its 2D traditional sonar, and at 260/455/800 kHz for ClearVü. It is built with the CHIRP ClearVü transducer. This transducer has a built-in temperature sensor, and the device itself has a temperature log and graph functions, which can be helpful when, for instance, you’re looking to detect currents on the surface. The Striker 4cv features a Circular Flasher mode, which supplies information on the targets captured by the sonar beams. The inner rings show depth, while the segments on the outer rings indicate the various strengths of the sonar returns. Such function is useful for ice and stationary fishing. The AutoGain allows you to set up the unit to automatically filter noise, while the Ultrascroll function lets you scan at faster boat speeds, allowing the data to scroll faster. Take note, however, that when the Ultrascroll is turned on, images tend to lose their quality at speeds over 40-50 mph. The Striker 4cv doesn’t have sonar recording and rewind features like the echoMAP CHIRP 43cv or 45cv models, for instance. It also doesn’t come with the QuickDraw Contours function, which is some of the reasons why this model is cheaper. 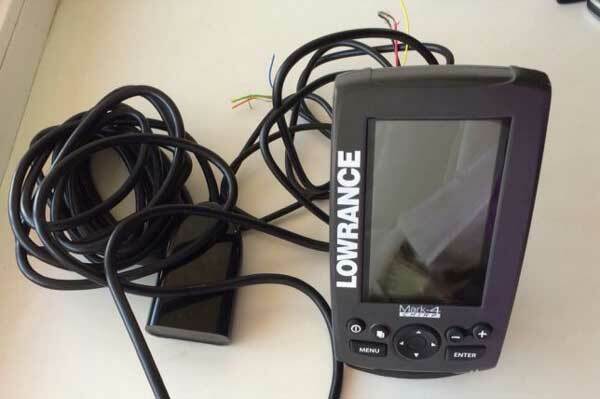 This device uses high-precision GPS, which allows you to track accurate locations and check the trolling speed for certain baits and fish targets. Thus, using the Striker 4cv with trolling motors will be remarkably easier. The Striker 4cv’s waypoint map feature lets you mark and map your fishing spots, docks, brush piles, and stumps. 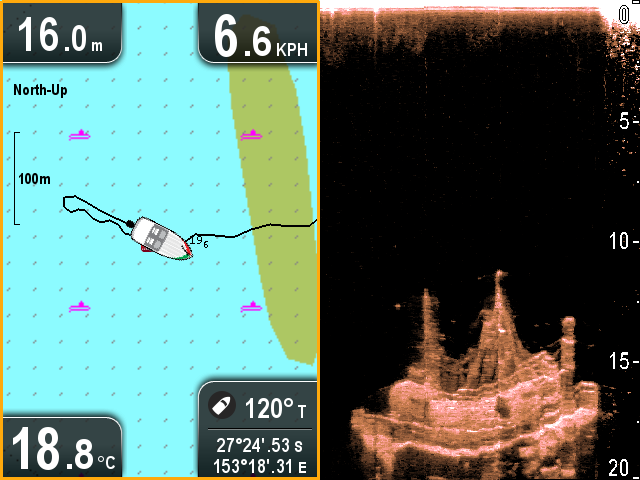 Various sonar features such as A-Scope, Fish ID, flasher, Ultrascroll, etc. 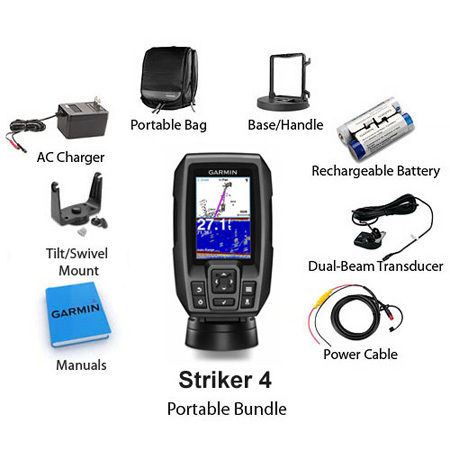 The Striker 4 is one of the brand’s most affordable and highly-sought-after models, dubbed as one of the best fish finder GPS combos under $300 in many reviews across the cyber space since its release. As you read farther along, you will discover that you get more than what you pay for with this gadget - it sports a compact, straightforward design yet packed to the brim with useful features. As we just mentioned, the Striker 4 comes in a compact design, built with a 480x320-pixel, 3.5-inch HVGA-color display. The device is backlight-enabled and allows you to view two panels or apps simultaneously. Rugged and relatively sturdier compared to the echoMAP units, Striker 4 is IPX7-waterproof and can withstand immersions up to 3 feet in freshwater. The device incorporates a built-in, rechargeable battery (with charger, of course), built-in transducer cable management and suction cup transducer float and mount. 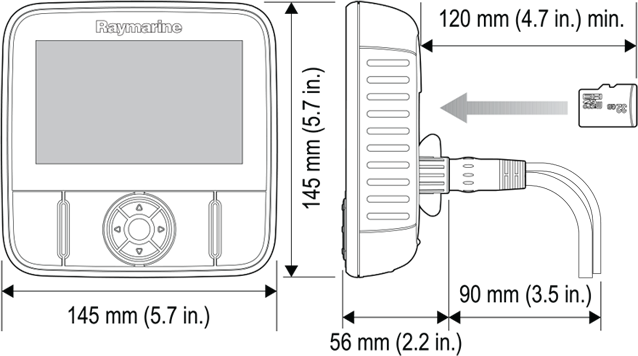 The Garmin Striker 4 unit comes with the transducer, with a 4-pin connector. This transducer is 77/200 kHz capable and uses two conical beams of 15° for 200 kHz, and respectively 45° for 77 kHz. The maximum depth that you’ll be able to scan with this unit is 1,600 feet (487 m) for freshwater and 750 feet (228 m) saltwater. CHIRP sonar adds a good amount of power and clarity to the images this device provides. In other words, you will benefit from better-defined targets, clearer images, less clutter, and a better lock to the bottom. CHIRP also offers excellent target distinction. 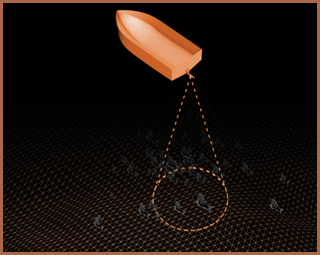 For instance, if a school of fish gathers really close together, on a traditional sonar unit, their sonar return will just appear like one, big target; whereas with CHIRP, you’ll get to distinguish the several smaller targets. 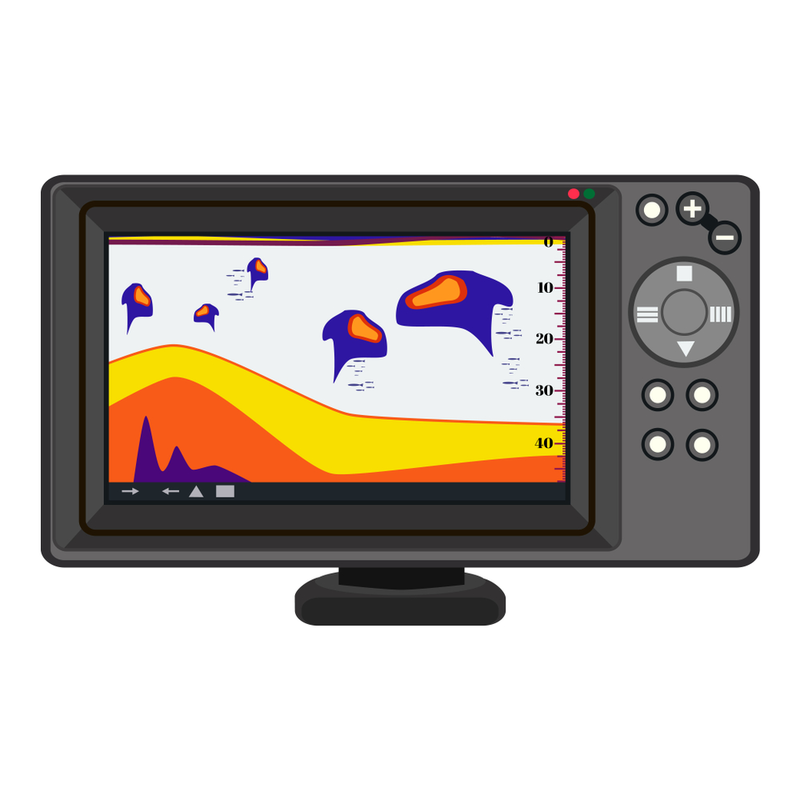 The unit’s 2D sonar features several other useful functions, such as Fish ID, A-Scope, Auto Gain, Flasher, Ultrascroll, Split-Zoom, to name some. As with the other models within the Striker series, the Striker 4 doesn’t have a chart plotter, hence, its GPS system will only use a blank sheet as support. Nonetheless, this device does integrate a high-precision GPS module, which lets you mark waypoints and almost any point of interest that you would want to revisit. 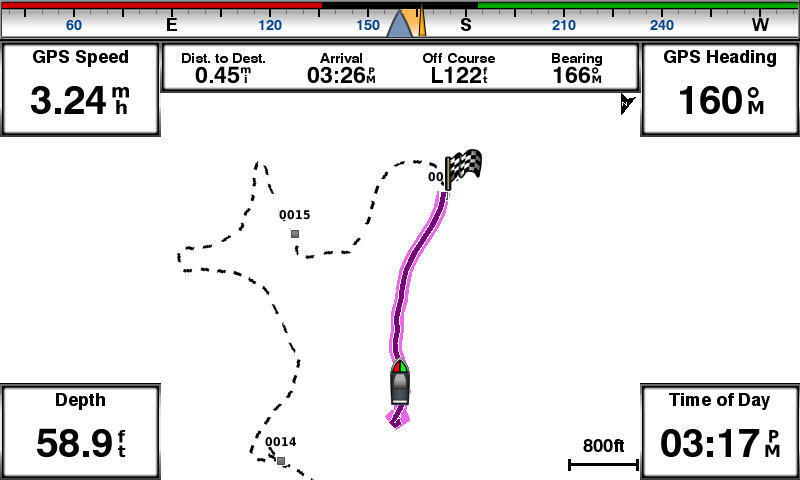 It can save up to 5,000 waypoints, showing several indicative icons that you can use. It doesn’t provide coordinate information though. If you’re a novice angler who’s looking to get a decent, portable device without breaking your bank, the Lowrance Mark-4 CHIRP fishfinder combo will impress you with its capabilities and ease of use. 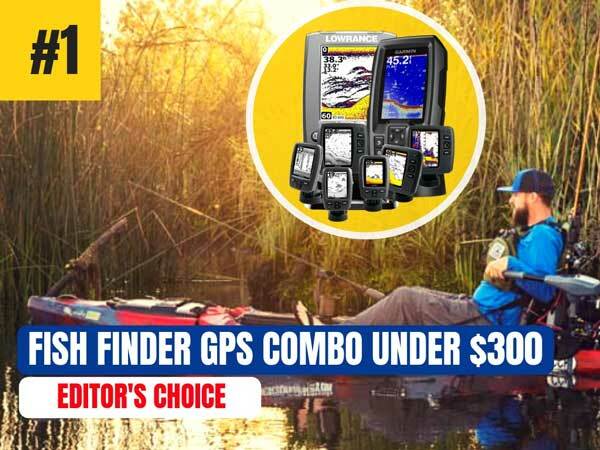 Its power and size make it one of the best fish finder GPS combos for kayaks and small boats without any sacrifice on features. While not a very popular feature among some users, its monochrome, LED-backlit display is no deal breaker. It actually provides exceptional readability in direct sunlight. Its chartplotter feature is a remarkable addition that makes this device multifunctional especially out in the open waters. IPX7-waterproof, the Mark-4 CHIRP unit is built with a monochrome, 16-level Grayscale, 480x272-pixel display, featuring 11 levels of the backlight, which significantly enhance the device’s readability in direct sunlight. While users may find the monochrome display a bit outdated, it’s actually purposed to protect the eyes and staining of the screen. Many users still find it very helpful especially when viewing under bright daylight. In terms of connectivity, this unit features an NMEA 0183 port. It also has a high-capacity microSD card reader, for data storage and charts upgrades. The Mark-4 CHIRP includes a standard tilt-and-swivel mount and also requires a 12-volt battery for its power source. 50/200 kHz for 2D CHIRP. 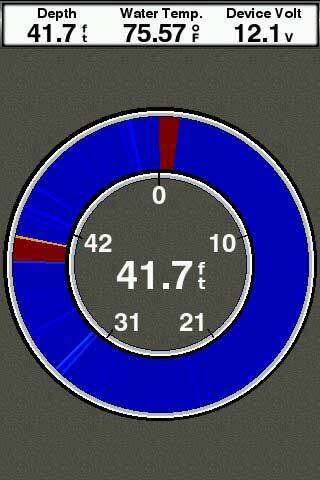 455/800 kHz for DownScan and integrates a Lowrance-skimmer temperature sensor. The device itself is capable of three frequencies for 2D sonar: 50/83/200 kHz. But since the transducer only works with 50/200 kHz, you will only be able to use Low CHIRP and High CHIRP for 2D. 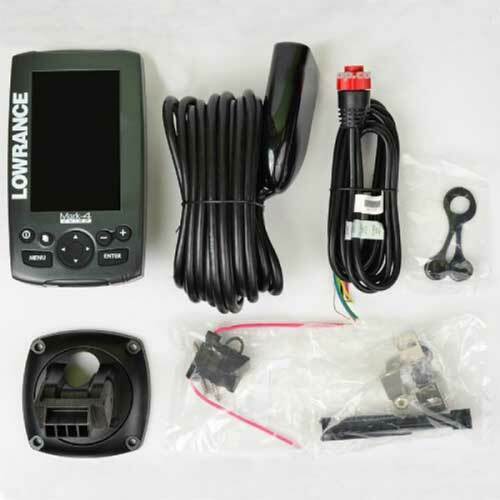 Albeit a small, monochrome gadget, with this deep-water transducer, the Lowrance Mark-4 CHIRP device is capable of scanning depths up to 2,500 feet (762 m) in 2D via its Low CHIRP. Like the Garmin fish finder devices on this list, the Lowrance Mark-4 CHIRP comes with basic navigation functions. It integrates a 16-channel GPS module and is built with basemaps, which provide contours for over 3,000 inland bodies of water and coastal contours of up to 1,000 feet. It can store up to 100 routes and tracks and 3,000 waypoints. However, the level of detail it provides is very minimal. Despite its simple features, it’s still installable with various superior charts using a MicroSD card. It’s compatible with a bunch of premium features such as Nautic Insight™ PRO and HD, Lake Insight™, HotMaps® Premium, Navionics+, and many more. Graced with lots of positive reviews all over the world wide web, the Garmin Striker 4 is hands down the best fish finder GPS combo under $300 on our list. Its portability is its main selling point, as it lets you take it on any fishing trip even when you’re scrimping on space on your vessel. 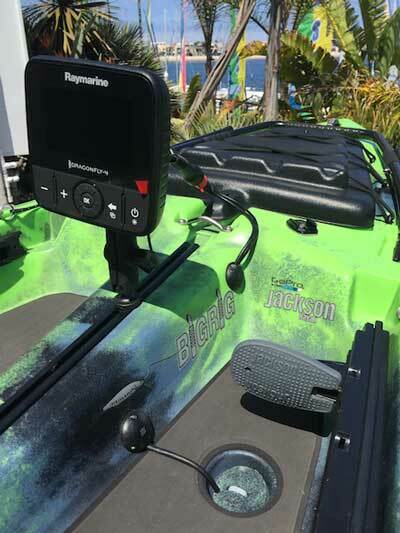 While it has no smartphone-pairing feature, unlike the Raymarine Dragonfly-4, you can rarely find a better product that boasts an easy-to-use interface, sheer durability, and a host of highly-functional features for its ultra-modest price.